But what about dental malpractice suits? 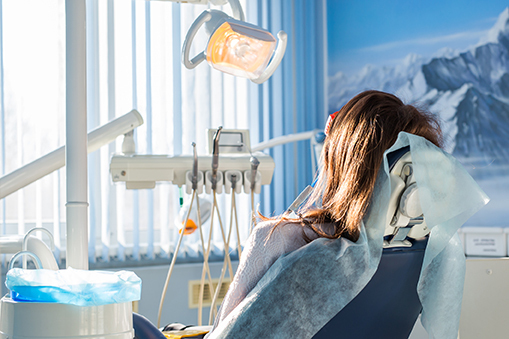 You likely haven’t heard about as many of these cases, in part because there aren’t many lawyers in the Seattle, WA area who deal with dental malpractice. When your dentist acts negligently or fails to meet the proper standard of care, you have every right to seek compensation. If you left the dentist in worse shape than when you went in, get in touch with the team at Otorowski Morrow and Golden, PLLC. We offer dental malpractice attorney services so you can defend your rights if your dentist damages your health. Before your injury happened, you probably didn’t worry much about getting injured at your dentist’s office. Most dentists perform routine cleanings and root canals, and dental surgery isn’t usually as complicated as other medical procedures. However, even routine dental procedures can go badly in negligent hands. You might suffer complications from anesthesia, experience pain or lasting damage from a poorly executed root canal, or suffer from nerve damage after certain procedures. Your dentist might also fail to properly diagnose devastating issues like oral cancer. No matter how a dentist harmed you, you can take legal action to make sure you achieve financial compensation for your lost health. Combined, the attorneys at Otorowski Morrow and Golden, PLLC have nearly 120 years of experience. Trust our dental malpractice attorneys to understand each fact of your case and then defend you before the courts. We’re happy to see clients across the Pacific Northwest from our two locations in Seattle, WA and Bainbridge Island, WA. We can defend you in both state and federal court. To discuss your case, contact us toll free at (888) 842-1001.